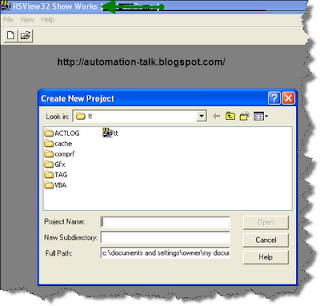 Creating a New file in RSview32 is a simple task. 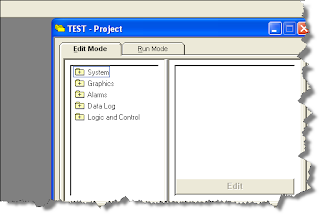 You just have a basic knowledge of SCADA, or even if you don't have then also you can develop simple applications. You can also learn RSView 32 or any other SCADA tutorials here. 2.Now click on FIle and then New and a window will be opened. Name the file whatever you want. 3.Now you will see a window in right side with your file name at header. It will contain System,Graphics,Alarm,Data log etc. 4.Click on Graphics and then in Display. Then a new window will open where you can create your application.